Canada’s top chefs have today selected two of Vancouver’s young culinary talents to participate in the national finals of the Hawksworth Young Chef Scholarship. The competition was extremely fierce in the kitchen at VCC Downtown Campus, with Alex Hon from West Restaurant and Corey Hess from Royal Dinette impressing the panel of judges enough to move on to the national final on September 17. Regional heats are also taking place in Calgary, Toronto and Montreal to find eight finalists that will compete to win a $10,000 cash prize and and an international stage as the winner of the fourth annual Hawksworth Young Chef Scholarship. 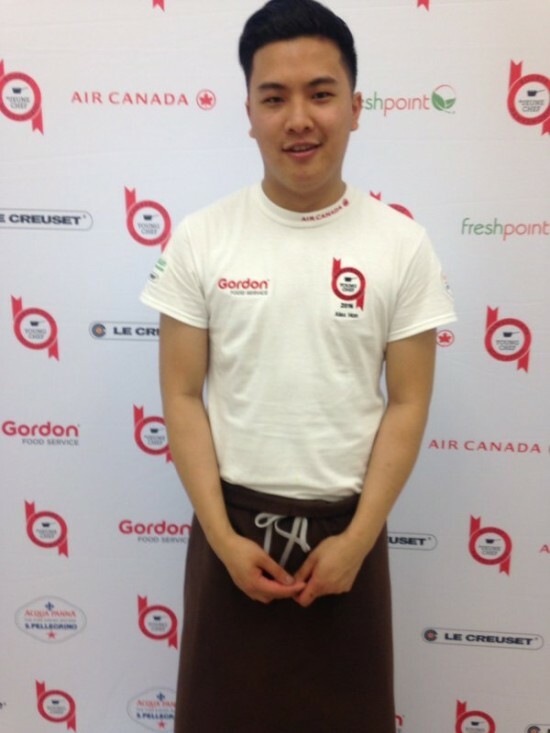 Alex Hon was first overall in the Vancouver heat, impressing a panel of chefs that included JC Poirier, Lee Cooper, Lucais Syme, Andrea Carlson, Kristian Eligh and David Hawksworth. “Hon was one of the most composed chefs in the kitchen today from start to finish,” says kitchen judge Chef Kristian Eligh. “While preparing his winning dish, a trio of rabbit, he used beautiful techniques and the dish was very well executed.” His abilities translated into an impressive first place showing and as a reward for his hard work in the kitchen, Le Creuset provided him with an olive wood knife.